After Ihor Kolomoisky, a pro-Maidan oligarch and governor of Dnipropetrovsk, allegedly used volunteer fighters to seize control of Ukraine's state-owned gas company, he resigned his governorship live on television, causing a rift in Ukraine's power elites. The ensuing scandal has placed the fragile achievements of the Ukrainian revolution at risk, prompting talk of a 'Requiem for Maidan'. But there's something we're forgetting in reporting the power struggles of Ukraine's oligarchs over the 'Kolomoisky affair' – the people of Ukraine. This is far from the first report on Reznichenko's concern for 'style'. Vyacheslav Poiezdnik, a recently-mobilised journalist (and who is currently undergoing treatment at a military hospital), not so long ago published a video on Facebook showing how the hospital stopped receiving patients ahead of a visit by the new governor. This behaviour is particularly striking when you consider this hospital, once dilapidated, was restored – completely – through the donations and efforts of volunteers. The Ukrainian state did not take any part in the restoration. Perhaps this is why Mikhail Minakov's recent statement on 'the oligarchs' take-over of an unfinished autocracy' surprised me, though I agree with much of what 'Requiem for EuroMaidan' has to say. 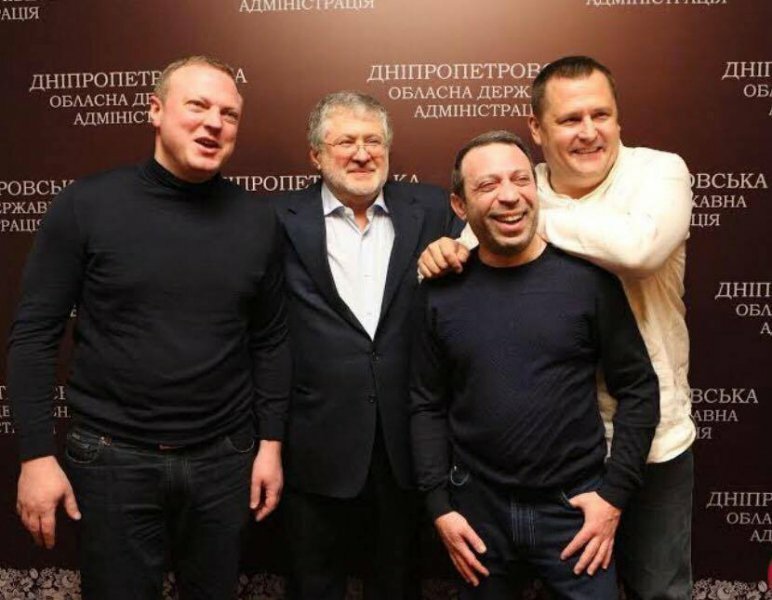 Of course, Governor Ihor Kolomoisky could not forget the financial interests of Privat Group. And yes, Kolomoisky's ambitions included consolidating and expanding his influence in Ukraine's South and East. But, at the same time, the way Kolomoisky and his team worked was completely at odds with authoritarianism – for instance, their direct and evolving relationship with civil society. During Kolomoisky's time as governor, activists and volunteers had constant access to the offices of power (on occasion, literally at any time of day), without ceremony or ritual, in a business-like and constructive atmosphere of co-operation. If the new governor can't master the ability to talk to citizens without middlemen or ceremony, he is going to have a tough time of it. It's easy to make misleading conclusions when it comes to Team Kolomoisky – that close-knit grouping of successful, one might say self-interested, businessmen, yet displaying a clear willingness to work together with activists looking to build a civil society – misleading especially if you don't know Dnipropetrovsk society from the inside. From the inside one sees how the volunteer movement and battalions come together day in, day out. Surprising it may be, but in a country, which has demonstrated an incredible capacity for self-organisation and self-sacrifice, journalists and analysts alike still fail to consider the Ukrainian people a subject and factor in the political process. From this point of view, of course, it's easy to popularise the myth of Kolomoisky's 'personal army in the form of volunteer battalions'. Under the influence of this myth, one doesn't even have to check the information about the men from the Dnipro-1 battalion who allegedly prevented Ukrtransnafta from legally being returned to state control – just disseminate it online. Yet there is only one (and wholly reliable) source of this information: an unidentified man in uniform who, on a single video recording, states that he is a soldier from Dnipro-1. People familiar with Dnipropetrovsk would be less quick to judge. They would know that a certain tension has long been brewing between the commanders of Dnipro-1 and Team Kolomoisky. A soldier's loyalty is always to his commander, not his sponsor. What's more, the Dnipro-1 battalion is financed from numerous sources, not the personal pocket alone of Ihor Kolomoisky. To be sure, volunteer battalions have their weaknesses, but putting their financial backers in charge isn't one of them. Journalists and analysts still fail to consider the Ukrainian people a subject in the political process. For me, as an activist and member of local society, the problem with Kolomoisky is not that he's an oligarch, nor that he seeks to take over an 'unfinished autocracy'. No, the problem lies in the origins of that very strength – Kolomoisky is a successful businessman who forged a successful career in the 1990s; and his team is of the same mould. It goes without saying that the 1990s were a significant period for all post-Soviet countries. All these countries experienced similar processes – collapsing infrastructure, chaos and poverty, which, in turn, coincided with unprecedented freedom, as well as new, unlimited possibilities (at least compared with the past). Criminality and private business went arm in arm and, in terms of ethics and methods, every successful businessman of the 1990s was something of a bandit. When it comes to this historical environment, Ihor Kolomoisky is top of the league. Likewise, Kolomoisky's associates Hennady Korban and Borys Filatov are also leading businessmen with a similar background. But what we have to understand is that, in contrast to other wealthy people in Ukraine who have combined politics and business over the past 23 years, Team Kolomoisky didn't overplay their hand in the country's political life. The team's farewell photo in the Dnipropetrovsk Regional State Administration building. Photo via Boris Filatov's Facebook. Of course, the group has always had deputies and officials under their sway. (This was and remains an everyday practice in Ukrainian politics.) But not one member of the team took office personally. And this is what has led to Team Kolomoisky’s – at least, temporary – defeat. Being led by a successful businessman, influential figure, and effective crisis manager, helped Kolomoisky's team not only to re-energise the 'power sector' and executive branch, which were both completely demoralised by the collapse of the power vertical in early 2014, but also find funds to finance the wartime needs of the Dnipropetrovsk region (which has a seriously embezzled budget). Transportation and hospitalisation of casualties, searching for the dead and people taken prisoner, supporting soldiers' families, aid for displaced persons – these are activities that should be performed, first and foremost, by the state, but which, in a country where the state apparatus has been completely degraded, have landed squarely on the shoulders of local business and volunteers. Without a doubt, Dnipropetrovsk would not have become the effective frontline city it has if the region had not been led by a person who commands serious influence and authority in political and business circles, as well as controlling significant assets. But being a successful politician is something quite different. While Kolomoisky's successes have paid dividends in terms of voters' sympathies (and at times far beyond the region's borders), this favour does not stretch to indulging any behaviour. The situation around Ukrtransnafta provoked a mixed reaction. It's difficult to say what provoked greater indignation – the presence of mysterious armed men at a state company or Kolomoisky's rudeness towards a journalist. Following their bravery on Maidan and the front, journalists in Ukraine have been accorded untouchable status. Of course, amidst the citizens of Dnipropetrovsk, many people were angered by the fact that Kolomoisky had been 'targeted' first rather than the pro-Russian oligarchs – Dmytro Firtash, Rinat Akhmetov or Vadym Novinsky. Yet this anger wasn't as destructive as certain people made it out to be. There was no reason to talk, as Mikhail Minakov does, of the 'challenge of possible civil unrest in Dnipropetrovsk' or calls for a 'new Maidan'. As a whole, talk of a 'new Maidan' seems to me not only risky but even insulting to the people of Ukraine who have just lived through a revolution. Anyone who has spent at least a few weeks on Maidan knows that it wasn't a carnival, nor was it a picnic: it was tiring work. Even if you exclude the potential risk of clashing with the police, standing in the cold is exhausting – if you do it for hours on end, day after day. Aside from the experience of understanding just how difficult protest can be, Maidan has produced another priceless achievement – a new network of experts and opinion-makers. As Facebook emerged as the main channel for information and discussion during Maidan, so a new infrastructure of analysts – who people listen to and follow – emerged alongside it. And as the war in the Donbas wears on, volunteers have also become part of this network – these are people respected by society. The vast majority of these new generation experts are sober-minded people who understand all too well that another revolution would spell the end for the Ukrainian state. I have seen – many times – how new waves of panic or protest (frequently with an unclear and, possibly, artificial provenance) have ebbed away with the help of careful explanations by these experts. Talk of a 'new Maidan' is not only risky, but even insulting to the people of Ukraine. For me, the motive behind the open struggle for control of Ukrtransnafta remains unclear, when it so obviously would have led to Kolomoisky losing his position. Of course, if President Poroshenko had let Kolomoisky get away with it, then that would have essentially signalled approval of it – indulging Kolomoisky in any future similar action, and exposing the lack of subordination between them. Such apparent carelessness from a former governor, who has hitherto shown such deft political skill, can be explained in two ways. First, the innate businessman and billionaire in him conquered the newborn politician – confidence in his own position and the people's sympathies won out over cautiousness. In this respect, Ihor Kolomoisky simply overdid it. Second, perhaps the position of governor had already lost its importance and value; and Kolomoisky allowed himself to relax, and hence, possibly, deliberately provoked his own resignation. The second scenario appears particularly credible in the context of coming local elections. But the fatalism and bitterness that courses through the interviews and statements given by members of Team Kolomoisky do not support the second version of events, leaving the first version in a more credible light. The experience of the 1990s, so relevant in solving the challenges of a regional war, has turned out to be harmful when played out on the national stage of Ukrainian politics. These methods – characteristic of the tough world of post-Soviet business – appear even more frightening in a country, which has defended its European choice with blood, and which is the focus of international attention (albeit, sceptical and disturbed). The lack of political sophistication in the behaviour of Team Kolomoisky after the boss’s resignation is revealing. Car crash followed car crash. Live on 1+1 TV, Kolomoisky himself asserted that former Regionnaire (i.e. Yanukovych's Party of Regions) Aleksandr Vilkul or Rinat Akhmetov are not pro-Russian, though he accepted that they may favour pro-Russian slogans. Most Ukrainian citizens don't buy this rhetoric. Then Gennady Korban gives an interview to Ilya Azar from Meduza, where he says a few – far from complimentary – things about President Poroshenko, and then promptly disavows it on Shuster Live (a popular Friday night talk show), even though it's obvious that this disavowal won't last a day (the facts of the interview were quickly confirmed by dictaphone record). And Borys Filatov's updates on Facebook – he has 160,000 followers – soon acquire a bitter (and, on occasion, offensive) tone. These misteps make it clear that politics is a profession, which Team Kolomoisky is yet to master. These misteps make it clear that politics is a profession, which Team Kolomoisky team is yet to master. Perhaps I sound like a lobbyist for the 'oligarch republic', but I hope that Team Kolomoisky does re-examine its approach and focuses on mastering politics while voters still favour them – for two reasons. First, there is a high probability that forces connected to former president Yanukovych will try to make a comeback in the Dnipropetrovsk local elections, this October. Given the gathering storm, I would prefer to count on a political force, which is strong locally rather than a branch of the People's Front or Poroshenko Bloc. Second, Kolomoisky is an interesting and, to a certain extent, admirable phenomenon. For years, Ukrainian oligarchs have guided our politics, unseen behind the curtain. Some of them have even taken posts in parliament and the state apparatus. But Kolomoisky stands out: he took responsibility at a very difficult, even catastrophic, moment. To be sure, war isn't only a time of great risk. It is also a time of great opportunity. But the work taken on by Team Kolomoisky was hellish. It wasn't just sitting in offices and signing documents: this work included identifying bodies, consoling grieving widows, exhausting military and political conflicts, and effective co-operation with activists from all walks of life. This is the first time in the history of modern Ukraine when rich and influential people have become involved in direct, horizontal communication. We cannot fail to value this, and I would like to see this continue. When foreign journalists ask me if I'm afraid that Kolomoisky will attempt to concentrate even more power in his own hands than Viktor Yanukovych, I answer no, I'm not afraid – I take the people into account. It may be difficult and costly, but Ukrainians are building a functioning civil society – a society of people who think, analyse, and study; a society mastering different means of influencing politics. In the struggle for dignity and freedom, Ukrainians have shown that even physical destruction does not stop them. I don't believe that even such an influential oligarch as Kolomoisky can muster anything like real opposition to such determined people. The way forward for Ukraine is to doggedly work out new rules for our society to live by – rules acceptable to all Ukrainians, Team Kolomoisky included.